Television has become more than just a source of entertainment these days. The Daily soaps or serials as we call them, manage to touch upon many delicate issues pertaining women. However, more often than not, the message that comes across puts women in a negative light. Do They Really Mirror The Indian Society? 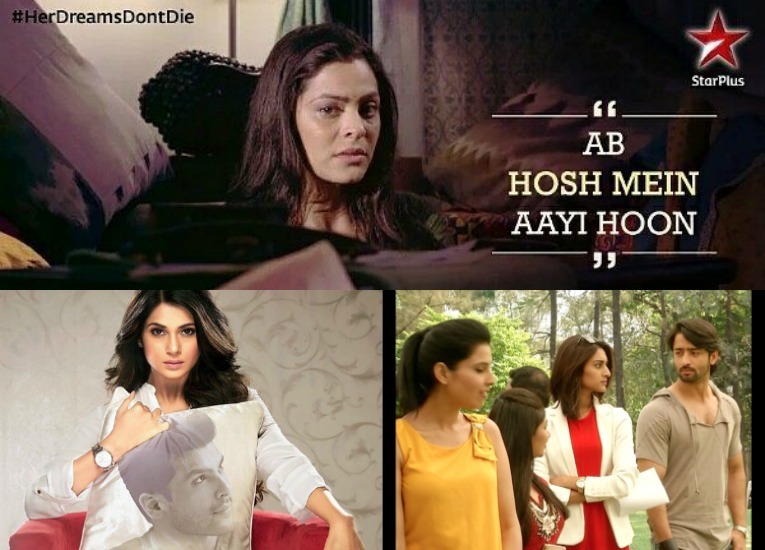 The Indian daily soaps present a larger than life image of all the highs and lows of a women's life. Even the simplest of happening in her life has to be presented with great pomp and show, and of course, the 'Bahu' has to be one who's filled with all the goodness in the world (read: deplorable)! Shows like Kyunki Saas Bhi Kabhi Bahu Thi, Kasauti Zindagii Kay, and of course, the one and only Kahaani Ghar Ghar Ki did have the viewers glued to it for long, but yet, failed to give out any concrete message. For shows like Yeh Hai Mohabbatein, Sasural Simar Ka or Bade Acche Lagte Hai, there isn't just monotony that prevails within the character, but there's also an added unidimensional nature to the same. The women on Indian TV don't seem to be having a mind of their own, for they are very unidimensional in terms of the choices they make as well as the things they do. In Yeh Hai Mohabbatein for example, Ishita (Divyanka Tripathi) is made to compromise on her self-esteem time and again to side with Raman (Karan Patel). While the former manages to be the docile and delicate 'reel' life housewife, any woman who's influenced by westernization and is outgoing, is shown to be having loose morals (Kaur, 2008). The stereotyping comes into play when the 'bahu' is bound to be someone who's obedient, sweet, and of course, wears a saree and a bindi; Gopi (Devoleena Bhattacharjee) in Saath Nibhana Saathiya was a perfect example back when the show started. As much as this isn't the scenario in real, patriarchy is very much visible in Indian Daily soaps. While the men in the family have certain roles to abide by, the women are always zeroed down to being surrounded by family, children, and of course the kitchen. A show like Ishqbaaaz, which has so much to show, makes it a point to actually focus on the cold behavior that's donned upon the poor soul Anika (Surbhi Chandna) by Shivaay (Nakuul Mehta). As much as we do we enjoy the show, aren't we actually gaining a sadistic pleasure out of watching the hopeless damsel in distress putting up with the harsh and unjust treatment from her so-called love of her life? Are the women concerns actually a fair point? The Wave Of a much-needed Change! And, amongst all the saas-bahu and ideal daughter-in-law drama, we've seen a wave of change come and go time and again. The women in such shows are shown as progressive and self-assured, who are all set to create a mark of their own. 'Tamanna', aired on Star Plus was one such show which definitely did make a difference. Another one to make mention of would be 'Kuch Rang Pyar Ke Aise Bhi', despite being a family drama, the show nowhere took the female Sonakshi (Erica Fernandes) for granted. Post her divorce with Dev (Shaheer Sheikh), she's shown to be a self-made woman and not someone who's lost in life. Talking about being a self-made woman, special mention to 'Beyhadh' for the brilliant character sketch of Maya (Jennifer Winget). The strong-headed independent successful working woman came in as an absolute breather among the saree clad ideal Bahus. However, over the time, she too, unapologetically turned into a helpless bahu seeking for her mother-in-law's approval. With such a vast medium at their advantage, and a responsibility to cater to audience's of all age groups, it's time that the makers do something about the distortion seen in daily soaps! While there's something that does successfully manage to keep the viewers hooked to their TV sets, there still is a greater liability that they have.